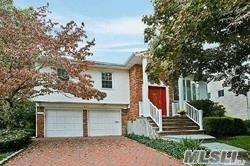 Beautiful Hi-Ranch, Excellent Condition, All Updated, Move Right In. Two Room Professional Suite Or Can Be Converted Back To A Large Den. Plus Separate Bedroom. Lovely Yard With Brick Patio.